On a steamy hot Monday evening we emerged from our air conditioned haven into the lobby of our hotel. A smiling face greeted us, we met our foodie guide extraordinaire Ha. Over the next four hours, we would laugh, squish ourselves into small spaces of all descriptions and eat seven different street foods. Sweat started dripping down our backs as we wove our way up the crowded streets of Hanoi to meet our other group members. Scooters hoon past you, cyclos jingle their bells, and you swerve to avoid the numerous street vendors that try to grab your attention with their wares. Hanoi’s old quarter pavements are coated in parked motorcycles, small children’s plastic stools and in the case of our hotel’s street – knock off label shoes of all sorts. The vibrant colours are only dulled by the translucent fog of pollution and barbecue smoke. 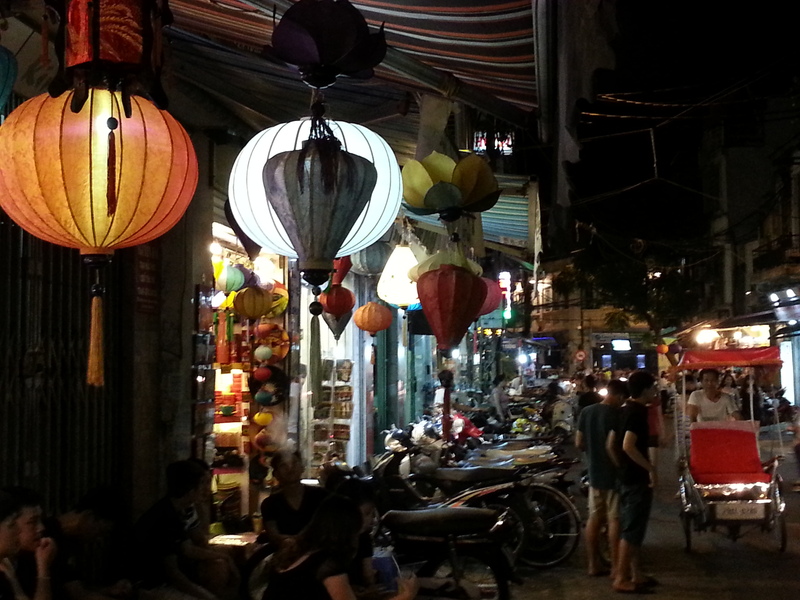 The old quarter is a must see for any new visitor to Hanoi, situated close to the Hoan Kiem Lake the area is a maze of streets which boast the original Water puppet theatre, and shopping galore. Each of the streets are named according to what they sell. Ha informed us that our street Ha Dzau was not originally a shoe shopping mecca, instead the name referred to hot oil. After a very hot walk and then a much needed air conditioned taxi ride, we arrived at our first destination. Orchid Restaurant and Cooking School. We were travelling with two other couples, one American and one Australian. BUT for tonight we are all one Vietnamese family. 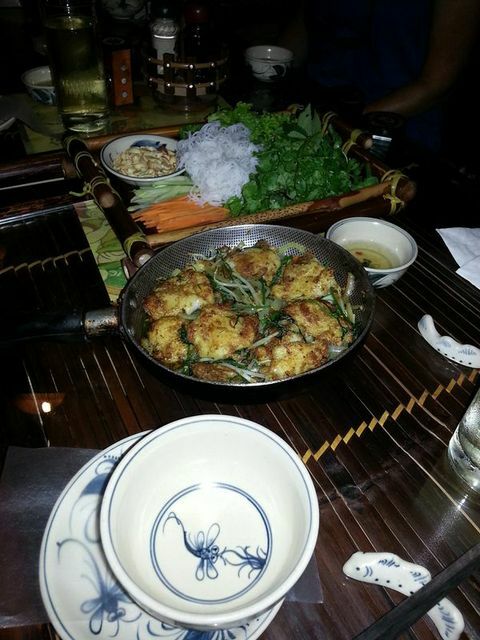 The staff greeted us warmly and laid out a beautiful meal of fried catfish in butter and garlic. 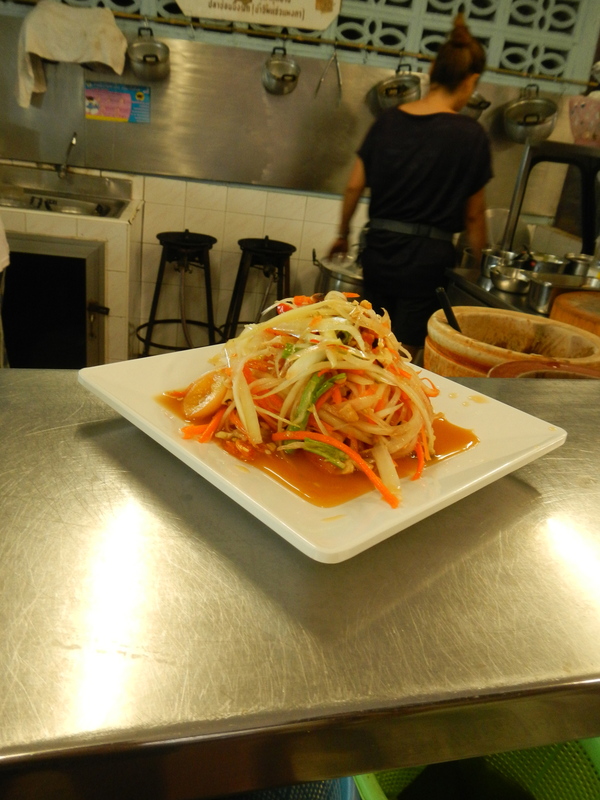 Ha showed us how to enjoy this delicacy by rolling it in rice paper with rice noodles, mint, coriander and lettuce leaves dipped in a mild and sweet fish sauce. 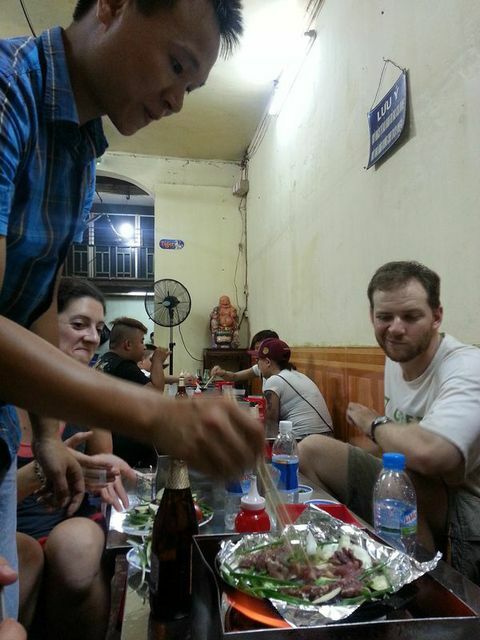 While we were eating, Ha entertained us with stories of Vietnamese life in Hanoi. Unbelievably the average wage here is $200USD a month. To make matters worse in the Old quarter, one square metre of real estate space will cost you a cool $50,000USD, rent on a single room is 150USD per month. A single apartment block can house up to forty families. To save space balconies have been turned into kitchens and bathrooms. 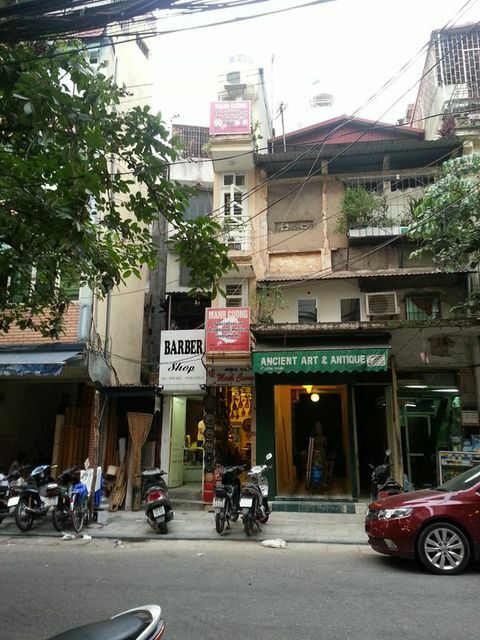 Hanoi’s old quarter and the smallest store. It makes you feel humble when you realise how little these people live on and yet in Ha’s case how happy and proud of his achievements he is. We continued on our way through the streets, next stop was a little third generation restaurant where we sampled a green papaya salad with air dried beef. As a foreigner, I would never consider eating at these places. The food is prepared on the street side, in amongst the smog and pollution. Tinny plastic tables and chairs so small you are almost bent double sitting on them, yet despite all of this the dishes we tasted were amazing. The trend continued with a beef barbeque restaurant, where you use a camping stove, soya bean oil and tin foil to create a divine beef stir fry. Then it was down a very long, dark and narrow alleyway where cockroaches the size of a baby’s hand scurry under foot. We also tried shelling sunflower seeds and drinking iced tea in a tiny street side stall. Plastic stools are pulled up as patrons arrive and placed under the bunched electrical cables that adorn the streets. The street food stall theme continued, next on the hit list was rice pancakes cooked fresh on the corner of the street. Bright orange and green plates contrast with the yellow pancakes and albino disposable chopsticks. The streets and temperature had quietened down at this point, and many restaurants were starting to close. We continued to wander around, and we stumbled upon a police vehicle. Here the police vehicles are open backed trucks, specifically for collecting scooters that are parked “illegally”. I honestly wouldn’t know where to start with illegal parking, it could be any scooter. 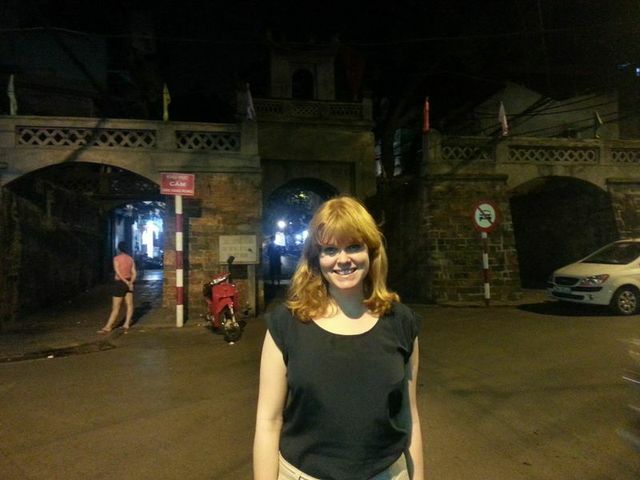 We also saw the oldest gate in Hanoi, the original gate to the city. This was before we came to our last two stops. The first of which is Bun Bo Nam Bo, a delicately flavoured dish where mint, coriander mingle subtly with beef and peanuts topped off with a delicious sauce. The second, a shop where we were served fruit salad. This fruit salad was different to anything else. Chunks of tropical fruit were interspersed with coconut jelly, some green tasty substance and yoghurt. It was the perfect end to the evening. We had walked our socks off, filled our tummies, and made a wonderful new friend. Tomorrow we are off to Halong Bay. 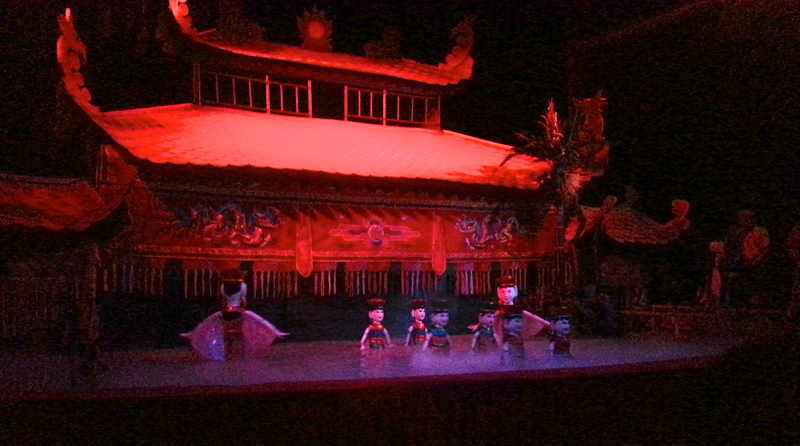 This is the common thing in most of the Asian countries and that is why i like to be here. 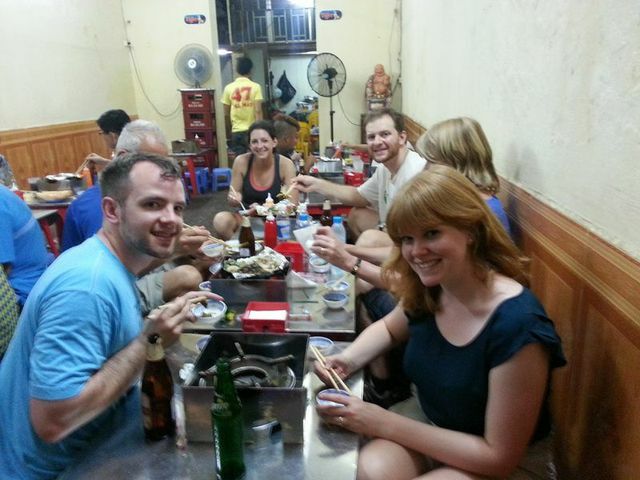 Glad you are enjoying Vietnam, it is such a great place, although there are cockroaches to be found down most alleys and streets! Enjoy Ha Long Bay, it is a stunning place to visit!